It’s not all about planning, planting and working outdoors – our range of garden furniture is all you need to create a place to relax and enjoy it too. From picnic benches and storage seating to folding metal patio sets, we’ve a constantly changing selection – come and be inspired. 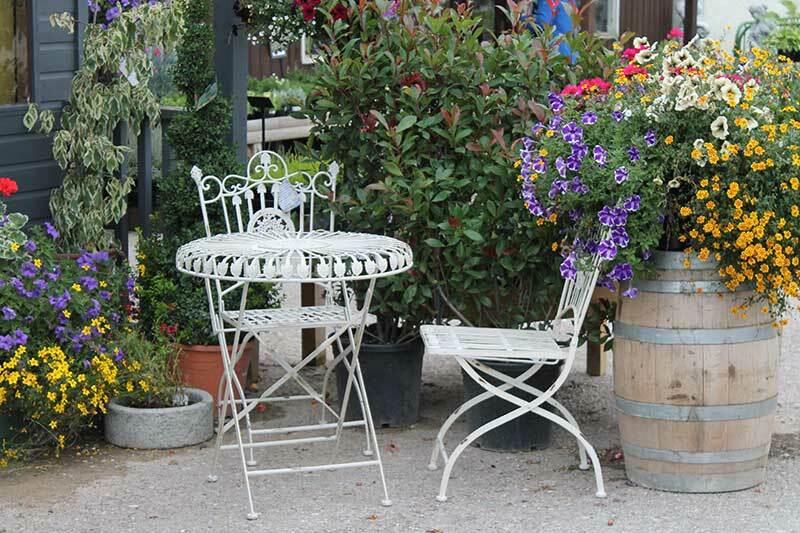 We’re a stockist of the Hutton range of timber garden furniture as well as other designs and different materials. 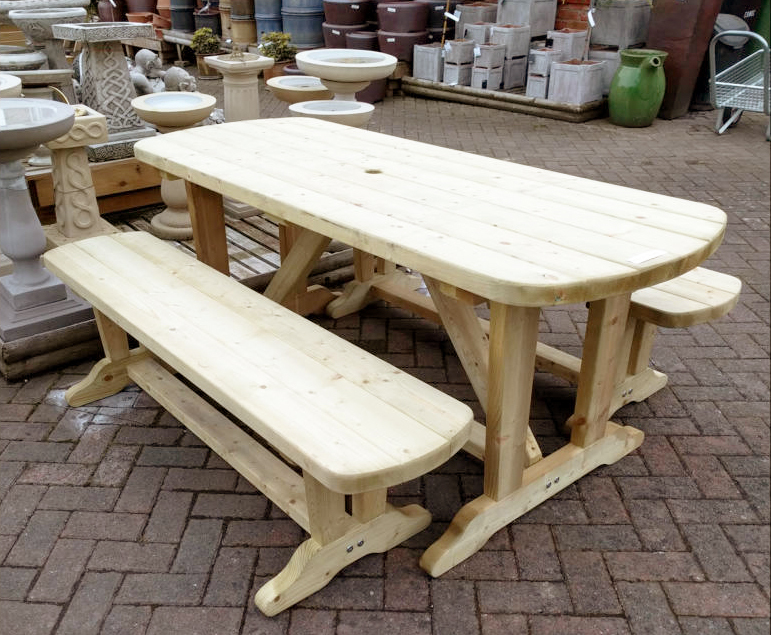 From traditional picnic benches and wooden slatted sun loungers to high stools and bar tables for your barbecue area, we’ve lots to choose from. Whether you’re creating a hidden corner in your garden or space is at a premium, a folding set of bistro-style furniture is a flexible and stylish alternative. 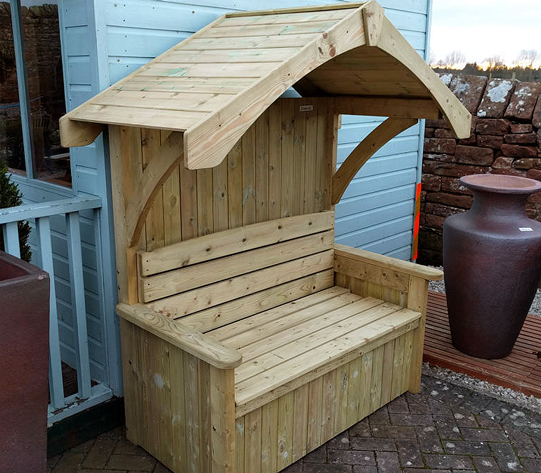 And we also stock seating and arbour combinations that will add a timeless quality to your garden as well as a great support for climbing plants. 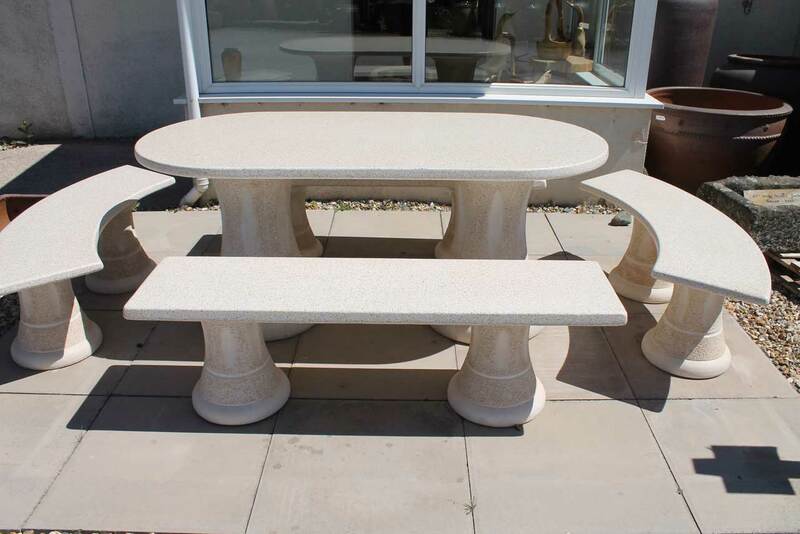 For a couple of years now, we’ve been importing stone garden furniture from a supplier in Portugal. You won’t find these tables and benches anywhere else locally and they’re a great, long-lasting alternative to wood or metal. 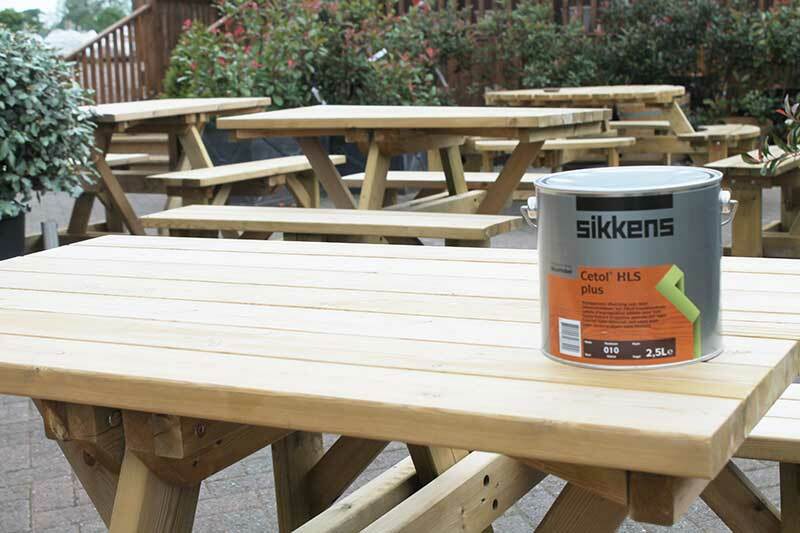 All our timber garden furniture is pressure treated to prevent rot – essential in the Cumbrian climate – but we also stock a range of timber treatments to improve water repellence. And we’re happy to advise if you have a particular problem or want to ensure that your purchase is going to last. We’d like to help you make the most of your garden. If you want to have colour all year, we can advise on planting combinations and if you’re looking for a garden building, we can explain the best options for your outdoor space. We’ve built up decades of garden know how and we’re happy to help.